International Energy and Investments Days is presenting you with a unique opportunity to introduce your companies, local governments, agencies and associations during the two day program in Congress and Exhibition part, along with the prospect of establishing direct and substantial contacts with visitors and participants of this meeting. International Fair of Education at the Novi Sad Fair is a fair where will be presented public and private universities, colleges, elementary and secondary schools, academies, national universities, language schools and schools of computers. Visitors can get acquainted with the activities of student organizations, information centers, youth organizations, agencies for training and education of employees, publishers and institutions. The aim of the Fair is to promote new editions of literature, manuals, textbooks, publications for learning foreign languages and children’s literature. During the Book Fair in Novi Sad is held a literary manifestation “Days of Laza Kostić” with the homonymic literary prize. The exhibition “Art Expo” brings together artists, galleries, collectors, philatelists, antiquarians and contacts authors with a wide audience. “Art Expo” is a unique cultural exhibition with promotions of cultural institutions- museums, institutes of culture, theaters, retail exhibitions, performances of artists and much more. Fair of fishing and outdoor equipment brings representatives and dealers of world-wide famous fishing equipment brands, owners of commercial fishing areas, manufacturers and dealers of nautical fishing equipment, hand-made product manufacturers, manufacturers and dealers of outdoor equipment. 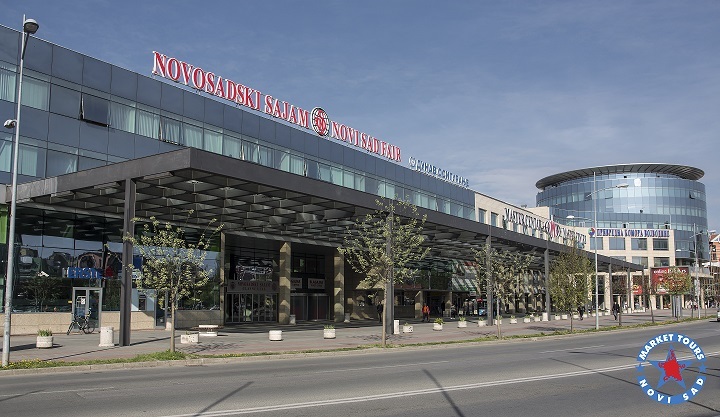 The largest agribusiness event in Serbia and one of the largest in Europe is International agricultural fair in Novi Sad. It gathers the most significant companies in agribusiness, agricultural production, and machinery and presents the best in cattle breeding. This year International Agricultural fair will be held at Novi Sad Fair for the 85th time from Tuesday, May 15 to Monday, May 21 2018. LORIST International Fairs are a meeting place for all significant representatives, importers and brands of the basic and auxiliary equipment for sports hunting and fishing, holidays in the nature, sports and recreation. Also during this fair, it’s held a fair of tourism. The Fair participants are all those who are tourist professionals or work for tourist industry, and the Novi Sad Fair of Tourism will promote all kinds of specific forms of tourism. Novi Sad Cars Fair will be the place of the promotion of the latest achievements in automobile industry along with leasing companies and commercial banks. During the fair, additional events will be organized, such as road safety expert meetings, as well as attractive programs for the visitors, „Tuning – Styling Show“, the exhibition of old timers, the possibility of test drive. The International Exhibition of Jewellery and Watches “Sjaj” is the only one of its kind in the region. This is an opportunity for meeting the professionals at one of the most elite fairs in the country. It gathers exhibitors from Turkey, Bulgaria, Federation of Bosnia and Herzegovina, Croatia, Macedonia and Serbia. Beekeeping fair is a place where all participants will have the opportunity to present products and services, but also to get acquainted with the latest trends in beekeeping. Ask as if you need accommodation, transfer from/to the airport, would like to go to sightseeing or get to know Novi Sad with its surrounding. We will provide for you complete service to make your stay in Novi Sad and visiting Fair’s as good as it could be.